Dowel pins are precisely shaped to keep components in pin-point accuracy to ensure alignment. Our dowel pins are engineered and manufactured to strict standards. 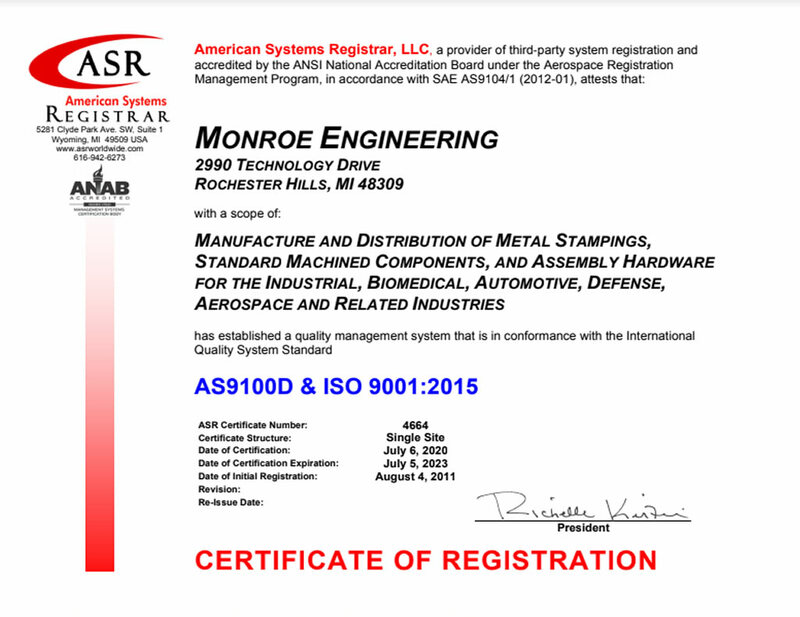 If you are looking for quality in your alignment pins, we are also certified to meet ISO 9001:2015 & AS9100D.